Wildog introduces its unique design front replacement bumper. It is a complete replacement bumper and does not require any cutting of existing plastic bumpers. Wildog Accessories' K9 Series front replacement bumpers are designed using 3D scanning and 3D CAD technology to better match the shape of the vehicle. The bumpers are much lighter and provide a sleeker fit than traditional front replacement bumpers. 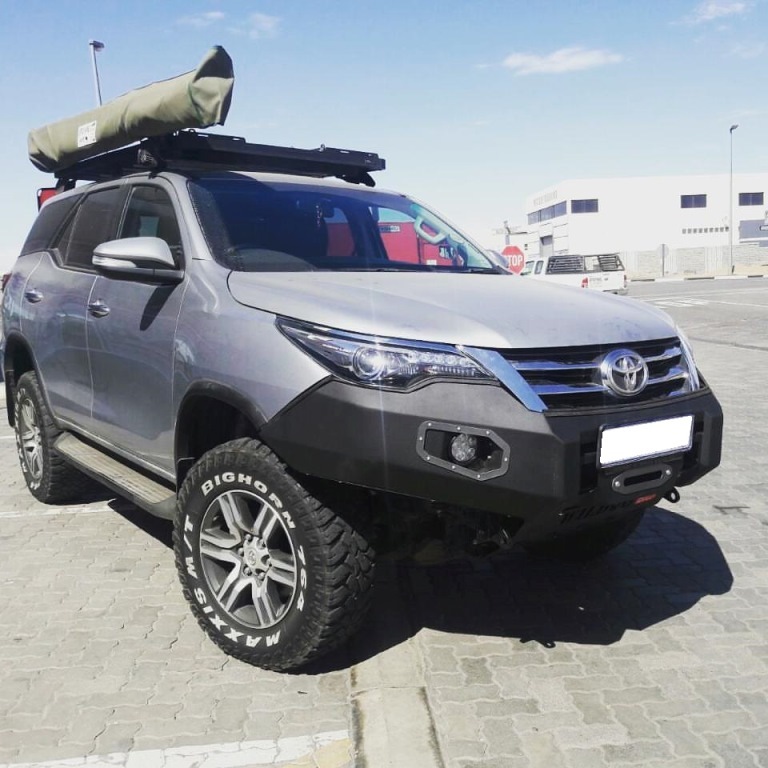 These "Bikini" type bumpers better match the modern design of new high end 4x4 vehicles. Color Coding and nudge bar options available. Please complete the form below for a detailed enquiry/quotation.